Must read it For years, internet has changed our communication methods to a great extent. It has also changed the tasks of our daily lives to a great extent. In the present time we send emails to communicate, share documents, pay our bills and buy our own needs online without thinking again. In doing so, we have to share our personal details with our companies. Have you ever thought of how much you share your personal data online? Or what happens to those shared data or information? Yes, in your friends, your banking information, contacts, addresses, social media posts, even your IP address, from which sites you visit, these information is digitally stored, whether you wish or not. By doing so, the companies say that they collect all these information because they will help you to understand them so that they can serve you well. They get targeted and relevant information from them so that they can provide you with a better customer experience. But is this data really used only for good customer experience? Recently just a moment ago, all of you have heard about the Facebook Cambridge Analytica Scandal, where millions of personal information were leak, many believe that last year US Elections used all these information. Therefore, many countries have expressed concern about the protection of data. Because the security of their data is the first responsibility for any country. The future of that country depends on it. Sometimes a loss of billions of rupees has to be borne. 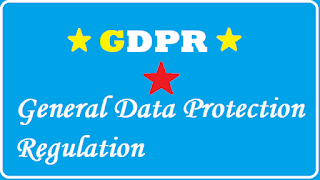 Therefore, the GDPR (General Data Protection Regulation) has been updated again for its data protection and its term and conditions, policy has been significantly improved earlier. There are so many of us who do not have any information about this matter, so considering the seriousness of this matter, I thought today that why are you people GDPR? Provide complete information on the subject so that you can also raise voice for the protection of your data. So let's begin without delay. 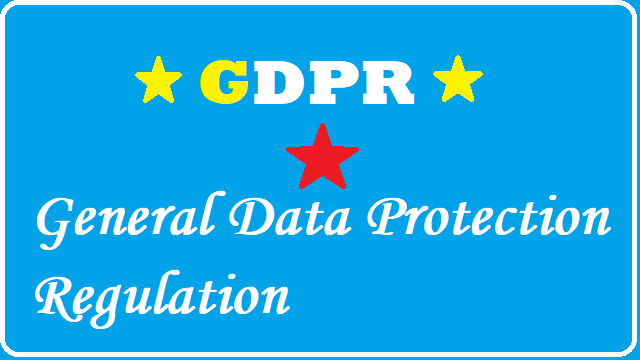 General Data Protection Regulation this is a set of rules that some have been designed in such a way that it is not only the EU citizens but all the people who use the internet have more control over controlling their personal data. Its main objective is to simplify the business's regulatory environment so that both citizens and businesses have the best advantage in this digital economy. These reforms have been designed in such a way that it can show us to our mythological world and implement our laws and obligations properly - which includes a lot of things such as personal data, privacy and consent etc. If we think fundamentally then almost all aspects of our life revolve around these data. Whether it is social media companies, banks, retailers, and governments - all services are collected first and then analyzed. Your name, address, credit card number and more are collected, analyse and after that they are stored by organizasations. In May 25, 2018, under the new European privacy regulation, The General Data Protection Regulation (GDPR) was brought into effect. This regulation was implicated in all local privacy laws throughout the EU and EEA regions. It applies to all the companies that deal with people and store their personal information. These are not only restricted to European companies but it also applies to the rest of the continents. This gives more people more control over their personal data. The right to access : Here are the rights given to the people, with the help of which they can request to access their personal data and they can also ask how the company is using the data provided by them. When asked, the company has to provide that individual in a copy, free of charge electronic format of his personal data. The right to be forgotten : If the consumer is not a customer of any company, then he can request the company not to use his personal information so that the company has to delete that data. The right to data portability : It is right for Individuals to transfer their data from one service provider to another. And this should be in the commonly used way and in machine-readable format. The right to be informed : If a company is collecting data of a person then that company will have to send this news to that person and only after his consent they can do this work. The right to have information corrected : According to this right persons can update their data if it is out of date or incomplete or incorrect. The right to restrict processing : Individuals can stop processing their data if they wish. His record will be in one place and will not be used. The right to object : Considering this right a person can stop processing his data in direct marketing. If any processing is going on, then they will have to take action when the stop is requested. The right to be notified : If for some reason the data is breach, then it is the liability of the company that they notify the persons within 72 Horse. It has the right to know that person. What impact will GDPR have on bloggers? 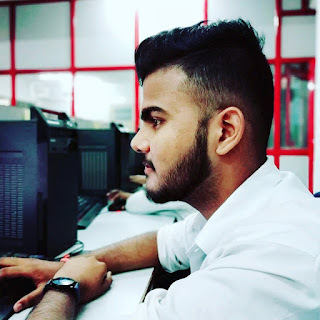 As we know that if we want to know the information about the blog or website on the Internet, then we used WHOIS, which provided us with any blog or website information, because many hosting services providers such data Public, this is not the personal information of the owners and the private. But now with GDPR, any hosting company or wordpress will not even publicize any user's data. If he does, then he will have to pay a fine determined by his GDPR. The user will also get full control over his personal data. Companies must also follow the law of GDPR, except for many earlier laws which will make their work easier. I sincerely hope that I gave you full information about GDPR and hope you guys have understood the effect of the GDPR. I am convinced of all the readers that you too share this information with your neighbors, relatives, your friends, so that we will be aware of our interactions and will all benefit from it. I need people's support from you so that I can bring you even more new information.